This morning I came aross an article that a company called FabFitFun raised an insane $80m Series A round. So, I decided to poke around their site a bit and see what I could find about their marketing strategy. The value is pretty simple. An easy offering that anyone could understand. 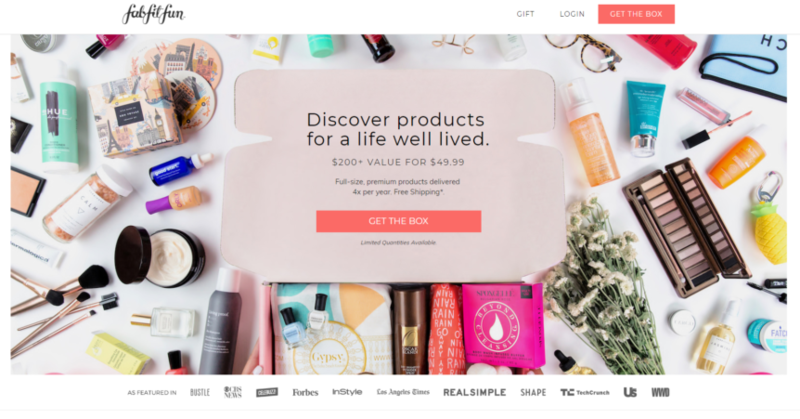 You pay $50 a quarter for $200 in subscription box goods. They simply buy things wholesale and flip them to their subscription list. Smart, and they already have crazy scale. They claim $200m+ in revenue. I’m also seeing about 2-3 million visitors to their website per month in Similarweb. It’s worth noting that doesn’t necessarily translate into a ton of profit. It’s retail ecommerce with “other people’s products”. So I’m guessing their margins after operational expenses and COGS are pretty small. Maybe around 5% – 10%. So what can they do to spend their freshly-raised capital? I think off the bat their primary channel should be driving more referrals. The main levers for this are their customer email & physical mailing list. And, their product packaging. These are really cheap growth channels. The costs for sending emails, flyers by snail mail, and cutout cards in their boxes, is nominal. They get a lot of love for their product and they should leverage that to the f*cking moon. The second growth avenue I think they should explore is promoting their gift options. They only have three things in their main website navigation, gifts being one of them. So, obviously, it’s already a key part of their strategy. Thirdly, I think they should pour money into their affiliate program. I don’t know if this strategy would be sustainable with their cash flow. But considering A) the $80m they just raised, and B) LTV could raise profit margin over time, per customer. I think it works in the long run. Influencer outreach. This one is easy and obvious. All they have to do is send boxes for free to influencers in their category, and invite them to the program. Partner programs & channel partners could have some viability. For example, partnering with fitness studios, spas, or salons. Retail / Brick & Mortar distribution. I’m not sure if this is the right growth stage for expansion here. But I imagine with the right deal they could sell boxes in-store, then upsell to subscriptions. At the very least, they could sell gift cards here. Outbound direct mail has a ton of potential. Their customer base is so broad, mass-mailing campaigns could have an ROI.